Logitech has announced that it is expanding its line of Alert HD security cameras by adding a new indoor model that comes complete with night-vision capabilities. Logitech’s Alert line takes advantage of the HomePlug AV networking standard, which allows data and power to run over common electrical cables. This may seem like a problem, as AC outlets aren’t located everywhere in a building. If that is a problem then Logitech also offers SKUs that offer Power over Ethernet (PoE). These models allow you to simply run a CAT5 cable to each camera and install an inline power injector at the router. The announcement made by Logitech made no mention of Power over Ethernet for the new indoor camera, though it is a strong possibility that it will be included. Logitech’s Alert line also delivers high-resolution 720p video which streams from multiple cameras and can be viewed simultaneously on a local networked PC that is running Logitech’s Alert Commander software. In addition to that, each camera is also equipped with a 16-zone motion detector which can trigger the camera to record a video clip when objects move in front of them. If triggered, the camera can send an email or text alert to you with the video clip attached. Recordings are then stored on the actual cameras thanks to a 2GB MicroSD card, which is doubly beneficial as it means that your local PC won’t have to be constantly running. Also, if you are a DropBox subscriber, then you can elect to copy the recordings to their storage in the cloud. 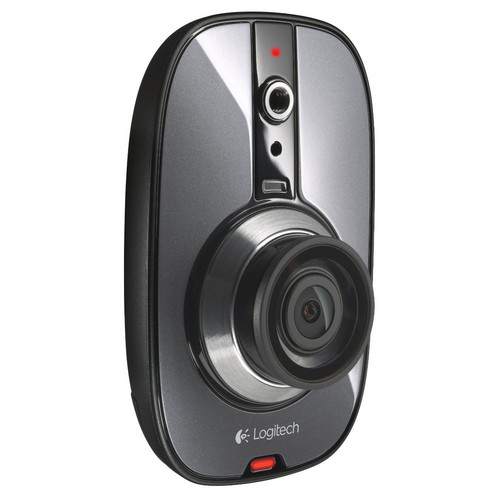 You can also review live camera feeds remotely from any computer or mobile device that has an internet connection with Logitech offering free remote-viewing apps for Android, BlackBerry and iOS devices. In addition, Logitech’s Alert Web and Mobile Commander service provides the same viewing and control capabilities available from the software running on a local PC, though it comes with an $80 per year subscription. Logitech will be offering the new Alert 750n Indoor Master System, which comes with the camera and the Alert Commander software, for $300. If you already have the Alert Commander system and just want the new camera then you can get that for $230. 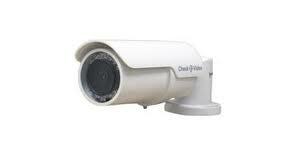 The outdoor system is available now for $350 with standalone cameras available for $280. Smarthome has just announced the launch of the company’s brand new wireless IP security camera.Smarthome’s camera will allow you to monitor your feed from anywhere in the world via an internet connection and is currently available on Smarthome’s website for the rather cheap price of $99.99. Smarthome’s wireless IP security camera features 11 infrared LEDs that are capable of providing 26 feet of visibility in absolute darkness. In addition to that, the camera also transmits high quality video images at 30 frames per second on a local wireless network by utilizing MJPEG hardware compression technology. What’s more is that users can also receive digital images via email whenever motion has been detected at a 640 x 480 resolution. The camera can also be integrated into your INSTEON home automation network as well using either HousLinc – INSTEON Desktop Software or SmartLinc – INSTEON Central Controller. 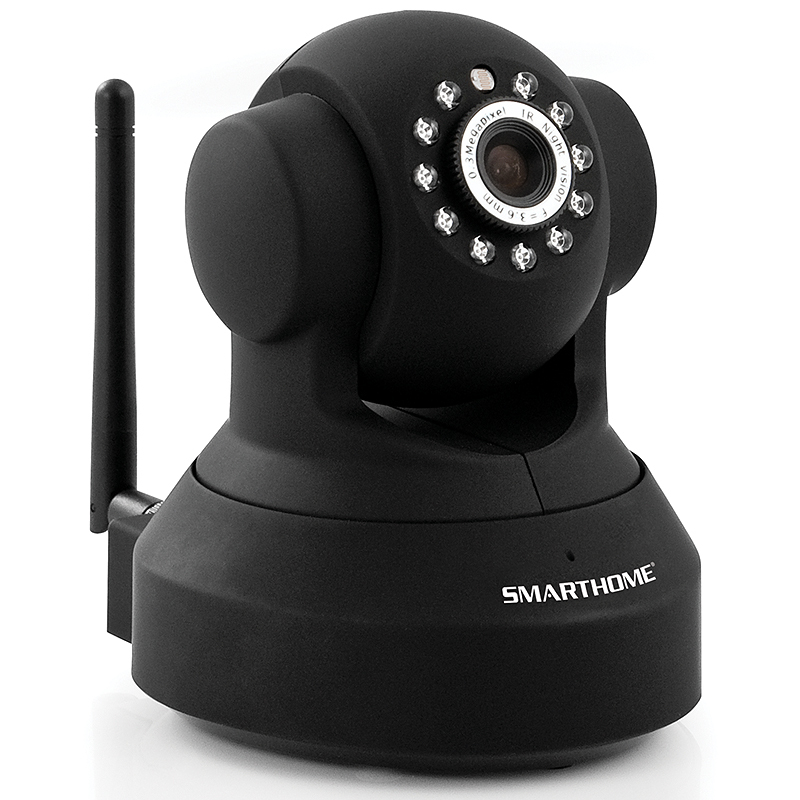 There are also a plethora of IP camera apps also available in the iTunes store as well as Android Marketplace to make viewing your Smarthome Wireless IP Security Camera quick and simple on any mobile device. Smarthome’s website has all the details about the Smarthome Wireless IP Security Camera, as well as a way for you to order one yourself. If you are looking for a truly wireless IP security camera but you don’t want to spend a whole lot of money then this may be the right camera for you. Online surveillance camera retailer Security Camera Warehouse has announced that it is expanding its line of IP cameras to include GeoVision cameras. The company recently reported that it doubled its revenue last year and is on track to do so again this year. The revenue increase is said to be due, in part, to the company’s relationship that it builds with its installer network. Like I said earlier, Security Camera Warehouse is an online retailer that deals in CCTV systems, security cameras and video surveillance equipment and bases its business model around low-cost, high-quality video surveillance products and customer service. This new offering of GeoVision IP cameras will also allow the company to expand its access control division with GeoVision keycard readers, fingerprint readers and other access control system solutions. What’s more is that GeoVision is an award-winning high megapixel IP surveillance camera company, which will give Security Camera Warehouse a little prestige for their lineup. Gadspot, a provider of more affordable video surveillance products, has just recently announced the addition of a plethora of new IP camera models to their lineup. These digital video cameras all come with your choice of either 2MP or 5MP sensors with available configurations including both dome cameras and outdoor cameras. The 2MP IP cameras come in the form of the GS9200, GS9201, GS 9202, GS9203 and GS9204. Features include a 2MP CMOS sensor, H.264 and MJPEG dual streaming, 1,600 x 1,200 resolution, WiFi connectivity (GS9200 model only), built-in high-sensitive microphone (GS9200, GS9202 and GS9203 models only), built-in IR and LED ICR (GS9201 and GS9204 models only), ONVIF standard support and weatherproof casings (GS9201 and GS9204 models only). The 5MP IP cameras come in the GS9000B, GS9001D and GS9002DE models with features including a 5MP CMOS sensor, H.264, MPEG-4 and MJPEG compression, 2,592 x 1,920 resolution, built-in SD/SDHC card slot for on-board storage (GS9000B and GS9001D models only), ONVIF standard support, built-in high-sensitive microphone (GS9000B and GS9001D models only), vandal-resistant case (GS9002DE model only), weatherproof casing (GS9002DE model only) and an operating temperature of 0°C/32°F to +45°C/113°F. All of these cameras come backed with a one-year warranty, just in case anything happens. Prices for the 2MP cameras range between $119.95 and $129.95 with prices of the 5MP cameras ranging between $249.95 and $499.95. In addition to that, Gadspot also offers 24-hour, live, online customer service if you have any problems.